Dr. Hal Wissel has a wealth of experience in the National Basketball Association including coaching, scouting and working in the front office. Hal was assistant coach for player development for the Golden State Warriors (2006-07), assistant coach with the Memphis Grizzlies (2002-05) and an advance scout for the Dallas Mavericks (2001-02). He served as an assistant coach for the New Jersey Nets (1996-99) and as director of player personnel for the Nets (1995-96). Hal was also a special assignment coach/scout with the Milwaukee Bucks (1990-95) and assistant coach/head scout with the Atlanta Hawks (1976-77). In addition to serving in the NBA, Coach Wissel compiled more than 300 wins as a collegiate head coach. Hal turned losing programs at Trenton State and Lafayette into conference champions. He led Florida Southern to four straight trips to the NCAA Division II Tournament and three straight trips to the Division II Final Four ('80, '81, and '82), winning the NCAA Division II National Championship in 1981. In 1972, Hal coached Fordham into the NIT Tournament. Hal also coached the Dominican Republic National Team in 1975. In 1972, Coach Wissel founded Basketball World, a venture that conducts basketball camps and clinics and produces and distributes books and videos. Basketball World's highly successful SHOOT IT BETTER Mini Camps are conducted worldwide for players at all levels. Basketball World is now owned and operated by Hal's son Paul. Hal received a bachelor's degree in physical education from Springfield College, a master's degree from Indiana University, and a doctorate in physical education from Springfield College. He is the author of two books. Basketball: Steps to Success is a best selling basketball book and has been translated into thirteen languages. Becoming a Basketball Player: Individual Drills has been made into a DVD. 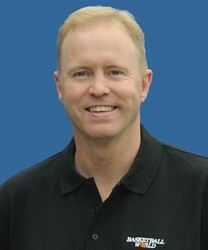 Dr. Wissel has produced five other instructional DVDs including, Basketball Shooting: Confidence, Rhythm and Mechanics, Basketball Shooting: Off the Pass, Off the Dribble and In the Post, Basketball Shooting: Make Your Shot Automatic, Basketball Shooting: Creating Your Shot Off the Dribble and Basketball Shooting: Post Moves and Drills. Hal Wissel's honors include being named Coach & Athlete magazine's Eastern Coach of the Year in 1972, Sunshine State Conference Coach of the Year ('79, '80, '81), and Division II National Coach of the Year by the National Association of Basketball Coaches in 1980. Coach Wissel has been inducted into the Florida Southern College Athletic Hall of Fame and the Sunshine State Conference Hall of Fame. In 1998, Hal was named Sunshine State Con­ference Silver Anniversary Coach. In 2009, he was inducted into the New England Basketball Hall of Fame. Hal and his wife Trudy have five grown children and one granddaughter. Scott Wissel has over 30 years of coaching experience at the collegiate and NBA levels. Scott is currently an NBA Advance Scout covering the entire country and all 30 teams. Scott has worked as an assistant coach/scout for the Detroit Pistons and advance scout for the Los Angeles Lakers, the Los Angeles Clippers, Memphis Grizzlies, Sacramento Kings and Milwaukee Bucks. Scott also served as an assistant coach for the Hartford Hellcats of the Continental Basketball Association (1993-94). 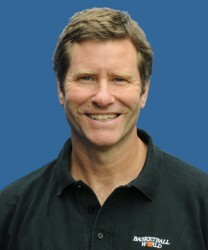 On the collegiate level, Scott served as an assistant coach for the University of Connecticut (1989-93) and Springfield College (1988-89). An outstanding teacher, Scott conducts SHOOT IT BETTER Mini Camps worldwide for Basketball World. In May 2009, Scott traveled to China to evaluate and teach young Chinese basketball players as part of the NBA/Mengniu Milk Basketball Reality Challenge, a television show which was broadcast to over 800 million Chinese citizens. In addition to China, Scott's basketball related international travels have taken him to Austria, Costa Rica, Dominican Republic, England, France, Germany, Mexico, the Netherlands ,Russia, Spain, Sweden and Switzerland. He has also conducted SHOOT IT BETTER Mini Camps in Alaska and Hawaii. 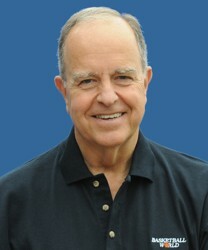 Paul Wissel is owner/president of Basketball World. As president of Basketball World, Paul oversees the day to day operation of the company's basketball camps, clinics, DVD production and website. Paul organizes and conducts Basketball World Camps and tours worldwide as a shooting instructor for SHOOT IT BETTER Mini Camps. The camps are conducted for players ranging from youth to NBA. Paul acts as executive producer for all of Basketball World's instructional DVDs, including the recently released Dr. Hal Wissel: Basketball Shooting 5-DVD series. An outstanding shooter, Paul demonstrates shooting drills and offensive moves in all of Basketball World's DVDs and is also featured on their covers. Paul was also the featured basketball player in the best selling book, Becoming A Basketball Player: Individual Drills. With the success of the book, Becoming a Basketball Player: Individual Drills was made into a series of 5 videos with Paul demonstrating all of the drills. Paul has worked as an advance scout for various NBA teams including the Toronto Raptors, Boston Celtics, Denver Nuggets and Atlanta Hawks. As an advance scout, Paul was responsible for scouting upcoming opponents. Working closely with each team's coaching staff, Paul advised the coaches on opposing team's offensive/defensive tendencies, play calls and personnel. His scouting reports were a vital tool for the coaches as they prepared a game plan for each opponent. Paul is also a member of SAG-AFTRA. He works as an actor, basketball technical advisor and sports consultant for film and television. In 2000, Paul was cast as Assistant Basketball Coach in Columbia Pictures' Finding Forrester. As well as acting in the movie, Paul helped in casting the prep school basketball players needed for the film. Paul invited many of his Basketball World campers to audition and participate in the film. Paul assisted in player workouts and consulted on the basketball portions of the film. Powered by AWeber. We respect your email privacy. © Copyright 2014, Basketball World, Inc. All rights reserved. BASKETBALL WORLD is a registered trademark. Any use of the name or logo is prohibited by law. No portion of basketballworld.com may be duplicated, redistributed or manipulated in any form.